I picked up some of the new Morgana Cryptoria Halloween shadows and swatched them up for you. A couple of the shadows are the new silicone coated formula and I like them a lot. I find they work well if you break the shadow up a bit with your bush and then apply on top of a primer or base. Alexandria is beautiful layered over Medusa’s Magic. 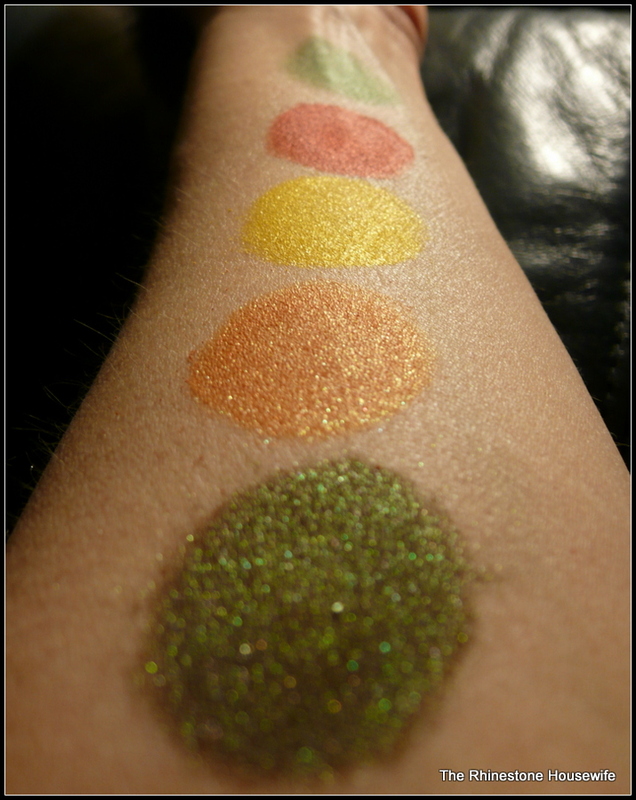 All swatches were done over Detrivore primer and photographed under a bright light with no flash. Morgana Cryptoria has been on my list of companies to try for a while now. Alexandria looks stunning!! I’ve noticed you tend to use a primer for a stretch before switching to another. What’s your favorite primer? I tend to use the primers that I don’t like for swatching as I apply it pretty liberally. Right now I’m using UDPP as my primer and Tick:Tocks Infinity base in Milky Way.